Just wanted to tell you the torch safety videos you made for Beaducation are awesome! Other videos on butane torches don't even come close to your thoroughness on use and safety. You even have a sense of humor. When you're a beginner, you don't know what you don't know. When it comes to fire, one better find out all they can. I am thankful to have found your videos." "Thank you so much for seeing me for a private lesson on Monday to help me with my road blocks. I left feeling inspired and excited to get the ball rolling again. 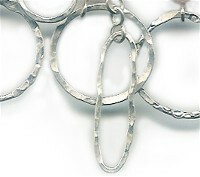 I've already picked up a small tool to make the polka dot marks in one pendant and am remaking the shank for the large circular ring. It was such a pleasure to meet you and for you to share your knowledge with me. I did forget to ask some questions, but I can do that when we meet again. I would like to schedule a specific type of class next month. Maybe bangles. Look forward to our next private lesson." Loved the fusing class you taught on Maui. 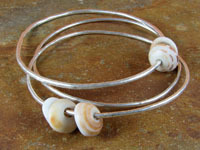 Here is a picture of the bangles I made afterwards. These are basically just fused at the cut since I didn't want to burn the shell. I would like to harden the silver a little more. I have hammered and worn the bangles for a while and they seem strong enough providing I don't smash my wrist on something. I love the raw and organic look. Aloha from Maui!" I knew I consulted the right person to learn everything there is to know about the retail world of jewelery. You opened my eyes and made me think about a lot of different things that would never have come to mind. During these difficult times when our economy is at it's all time low, it really helps to know the different avenues I could travel; and also places not to venture. The information you provided over the phone, was priceless and very easy to understand and absorb. I found it a lot more useful than any book or article. I think that sharing your countless experiences over the years makes you a valuable resource and I highly recommend you to everyone! Thank you again for who you are and all that you do! 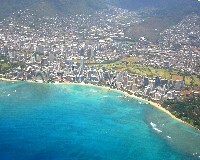 Aloha!" Iris' Glass Beach Retreat is a one of a kind experience! You simply cannot fathom a beach covered with glass until you experience it yourself. But the best part of the experience is learning the Viking Knit." technique. At first I wasn't sure I could complete my project but Iris is very inspiring, very patient and easy to learn from. She takes the time to make sure you don't leave without feeling confident about what you've been taught. Between the relaxed nature of the retreat, the beauty of Glass beach and the making of new friends or just hanging out with old friends...it's a wonderful girls getaway you simply must experience! I will talk to you after I return from New York city where, hopefully, I will have sold more pieces." 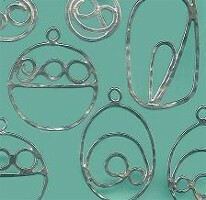 Ok, first things first......amazing Fused Loop Pendants and Stackable Rings tutorial. I can see how you get all the rave reviews. I have had a preliminary read and haven't spotted anything needing clarification. I've just fused a few more rings using your 6 o'clock, then sweeping 3-9 o'clock method and it has totally taken the 'luck' factor out. Every ring is perfect. Yey! Thank you! Also - tried fusing whilst reading your instructions. Was giggling so much I had to stop as my hands were shaking!! Perhaps you should mention that in the health and safety: Do not handle a torch or operate heavy machinery whilst reading this tutorial!" 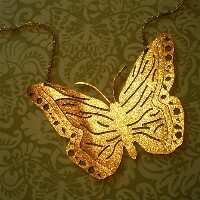 I am writing to thank you for all the help in developing my jewelry business. I was thinking about how to best express my gratitude in words to you and I remembered a Sanskrit shloka (a short prayer) recited especially before starting out on a new venture: "Matrudevo Bhava....pitru devo Bhava, Acharya devo bhava......". What the prayer is setting out to do is to give respect to the people in order- Mother(Matru), Father(Pitru) and Acharya (teacher) for being there for you. I hope it sums up how I feel about you. I just wanted to drop you a note and tell you how very much I am enjoying your book! It was well worth the wait. I am practicing away on my fusing and having a ball. The time you took to expound on safety and equipment is much appreciated. The story of your mother�s ring was a lovely touch, as well. I�m looking forward to honing my skills and ordering some of your distance learning courses. Meantime, just a thank you for making this wonderful resource available." 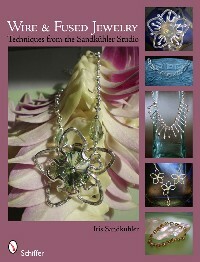 "Thank you Iris for sharing not only your expertise in pewter casting, but also your studio and camaraderie. It has been rare for me to be able to spend a day entirely on something enjoyable for myself since opening the store and I completely enjoyed the entire experience today." "Iris Sandkühler is the Goldsmith Whisperer! Especially when it comes to fusing with 100% success. Her educational expertise shines. This book is fantastic." The way you teach the (unsupported) Viking Knit has really grown on me. 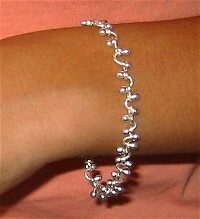 I�m going to buy some more wire to make another piece of jewelry! Thank you for a great Beach Glass Retreat. You are truly an inspiration." "Thanks so much for the private lesson.... I enjoyed it a lot! It's just amazing how a bezel can give a stone a whole different look. I took the piece that I did to work and everyone was so impressed. Thanks again for taking the time and sharing your endless knowledge and know how with us. We are so looking forward to our "play day" next time around!" "Thank you for coming to Anchorage, Iris. You are an amazing teacher! I've learned so much from the 6 days with you. Can't wait to take more of your classes. I've been creating bubble necklaces and now I'm waiting for an oval mandrel, so I can make a copper bracelet. (The girl from Hawaii living in Alaska)"
"That's awesome about your new book! Please keep us informed, and of course I want mine autographed! Thank you sooo much for coming to Alaska!!! I was only able to take your "Beautiful Bangles" workshop, but the information you shared was like 10 or more classes. I learned so much that I can never thank you enough. Also, I would like to thank you for doing 2 sessions instead of 1, otherwise I would have missed seeing you again along with the fun that I always have. The metal knowledge that you imparted is exactly what I have been researching. I think you are a mind reader! It was great to see you as always. Looking forward to the next time you return to the Great White North!" 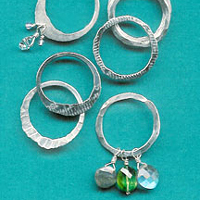 I will be taking your "Matchsticks III: Bezel Baskets" class, here at Alaska Bead Company, when you are here in September. I really wanted to take another class, but everything was full already. I went in on Sunday, just 24 hours after they started sign ups, and 5 of the 7 classes were filled! Yikes! I am on the waiting list, and I am an employee. You are very popular, and from my experience, we don't get a lot of metal artists up here. 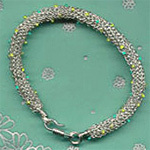 I love working with wire and metal, and it seems like most of the classes are offered using seed beads and weaving. ABC does a great job of offering workshops. I look forward to meeting you in September! Have a fantastic day!" A GREAT BIG thank you my dear! You have caused huge waves in my life (good ones)! 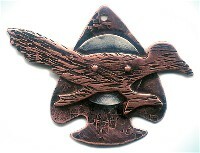 Since taking riveting private lessons from you I have found a passion in the world of small metal working. I love the miracle of the meld - watching the silver turn radiantly orange and pool. What joy! SO, what does a woman do when she has no dedicated or even remotely convenient location for her new found passion? She rearranges 3 rooms in her house, cleans out the closets and the 140 degree attic. Gathers all of the art/craft/knitting supplies into one location and sorts 30 years of tools and gadgets, yarn, buttons, wire, needles, frames, paint and canvas into one room, orders a massive work surface, sorted 9 jars of beads, and puts shelves in the closet, she shreds 3 trash cans full of old documents-that needed to go, finds a pair of gold earrings that have been lost since her father-in-law was married to wife #3 and she loves the new location of her studio and office, as both have big and happy windows! OH, and she has a massive garage sale. So maybe you caused a Tsunami? Some time next week, my studio will be completed, sorted, shelved and ready to roll! I have a new revolving vice, anvil with pin, 2 hammers, a tripod, 2 firing bricks, a Teflon pan and a great torch. I may never leave that room! I'll send you photos when I've actually put my ideas into action! What distance learning lesson would you think might be a good next step for me. THANK YOU!!!! yet again." 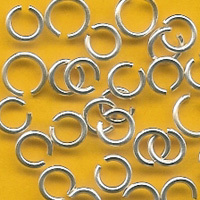 I just spent two hours using your instructions to refine my jump ring making. I used 16 gauge copper wire and ordered 16 gauge fine silver wire today. Soooo I'm pretty happy with my jump rings and I know your distance learning lesson really helped. I've never really examined a jump ring so closely before and it makes a big difference. 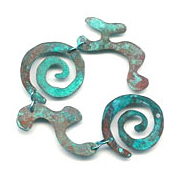 I think I'm ready to go on to the Fused Loop Pendants and Stackable Rings lesson next." See if you can spot me (and my borzoi) for a second in one of his youtube trailers. There is so much joy inside I can't barely sit still. I've just finished the bracelet Matchsticks & Torches from today's class and I must say it is one of the most beautiful pieces of work I have ever made. This is what I have been waiting for for so long. For a few years now, I looked for teachers everywhere in the Bay Area and none felt right to me. And today, in my heart it was the perfect match. This is exactly what I needed. You have given me joy and hope. So I thank you for that. I look forward to taking more classes from you. I'm very proud to tell you that I took your Distance Learning, Viking Knit lesson and I learned it so well that I made my own variation on the concepts from you. 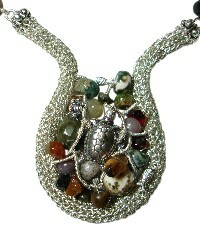 This fabulous necklace was submitted to the contest "The Celebrating of Beads of The Bead Museum in Washington DC". To my surprise, I WON FIRST PLACE! 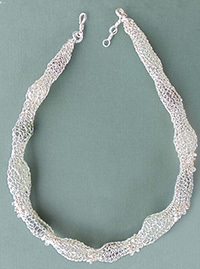 It�s in the metal category and my piece will be exhibited in the Bead Museum in Washington DC from September 28 through December 31, 2008. Do you believe it??? This is my first attempt and I won! Thank you very much Iris!" 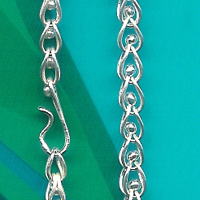 Thank you so much for coming to Honolulu and providing all those fun classes at The Bead Gallery! I wish I could have taken more. Your Matchsticks & Torches class was so much fun, but I wish it could have gone on for another hour...the time went by much too quickly. 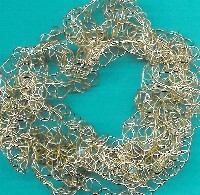 The first thing I plan to do is make a necklace for my Mother-in-Law for Christmas. I know she will just love it! Thanks again for sharing your gift and knowledge of working with wire! 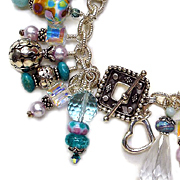 Looking forward to your next visit to The Bead Gallery. "I very much appreciated your class today. I raved about you to the Bead Inspirations crew. 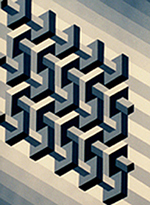 Thanks for sharing so much valuable information�especially the "whys" / theory of it all. It will really make a difference in my future efforts, and save me so much "pain"." 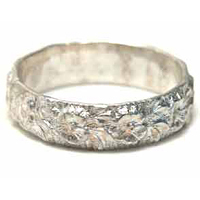 "Dear Iris � I'm so glad I found you, you have been a great influence on me and my jewelry. I'm not sure if you knew this, but I'm really picky when it comes to teachers, and I think you're one of the best. You make learning fun � I think part of it is because you seem to enjoy when others are learning - how great is that?! Thanks for teaching me about metals, art, music and following your own path!" "I'm interested in booking some time for a phone consultation. I have been busy learning new things and practicing, and have you to thank for getting me started with a torch. I now have an acetylene/air torch, flexshaft and lots of other toys to play with, but I still use my little butane one for fusing. Your distance learning courses are exceptional in quality! I'm getting ready to purchase Introduction to Patination. 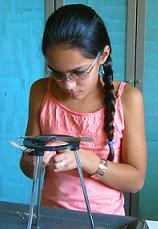 "I am still very jazzed about the private soldering lesson we had on Saturday! Drove home with design possibilities floating in my head. 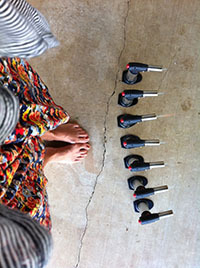 Thank you again for the opportunity to get comfortable with soldering and learning a whole lot more in the process." "I consider you our primo teacher. I wish I could have majored in silversmithing, or jewelry making, or something appropriately related (at least closer than Social Sciences!). I love all of the knowledge you impart to us, and I appreciate it, and I respect you for it. Just thought you should know." Your distance learning lesson Beach Glass and Pebbles (Making a Traditional Bezel) arrived alive and well! The lesson is VERY thorough...(as usual) and that is why I went through you. I already know how to do a basic bezel, but your instructions are always so clear and concise, it is always worth the money to "relearn" these basic techniques with you. Never stop growing and learning right? 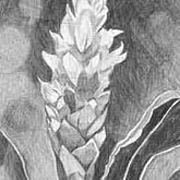 Check out some of my stuff: www.gelsominadesigns.com"
Thanks for all the wisdom shared. I thorougly enjoyed all the classes. Hope your stay in Alaska was all you hoped for. Until next time." "I like taking classes from Iris because it's fun to learn new things and socialize at the same time. Using a torch is my favorite. I also like hammering a lot." "Just wanted to drop you a note and say how much I enjoyed the two classes I�ve taken from you at the Bead Shop recently. 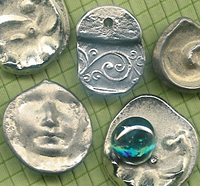 I was actually quite terrified of using a torch when I arrived at the "fusing" class, but by the time I completed the silver rings for the project, I felt comfortable enough that I was able to get them all done in the class. Your teaching skills made me feel that I could get past my initial fear and I really liked the fact that you went over how the torch worked and what could happen if things didn�t go right. It took away some of the fear by understanding the process and how to use it safely. 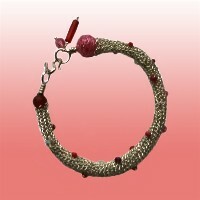 I also loved the Etruscan Tree of Life bracelet class. What a beautiful design that is! Of course, it will take some practice on my part before I come close to getting a final product that looks like your sample. But I am happy enough with my finished product that I am wearing it. Again, good teaching skills and I definitely would take more classes from you when the opportunity arises. Thanks and good luck in your many projects. You are one busy woman! Feel free to use my comments, they are from the heart." "I recently took your Loop-in-Loop Peacock bracelet class while you were in Honolulu and I am having a ball making them! I really enjoyed your class and the way you broke down each step so a novice like me can understand what I�m doing! Mahalo!" 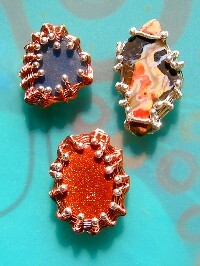 thebeadgallery.com "As a teacher, Iris is so patient and understanding with the students. It's so easy to learn and enjoy in the presence of kindness and genuine dedication to the craft. As a person, she is always sincere and honest in her communications. We always appreciate her making the time to share her knowledge and love of beading with our customers! Mahalo Iris!" "Your distance learning lesson arrived alive and I've had a quick look through. You give a lot of bang for the buck! My Native-American-Celtic-Viking husband says he's happy about the bracelet I made!" 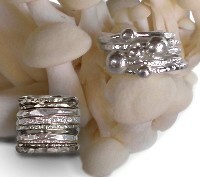 "So it's class sign up day here at The Bead Shop [Palo Alto] and your stackable rings class was the first to sell out! The class only took about 5 minutes from the time sign ups started to fill!" "I think you are an excellent teacher and your [distance] tutorials are the clearest I have ever seen. I am sure they represent hours of work." 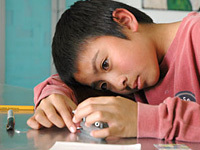 "Iris has an energy that encourages her student's individual creative style. Her calm manner and clear directions underlie how she structures and tailors information for her students. This combination makes a TERRIFIC long distance teacher! I wanted to tell you how much I have learned from your internet classes and your personal lessons. Please, please whatever you do, expand on the internet as you had mentioned in your email [newsletter]. It will benefit you as well as others like me who cannot attend classes where one has to be present. Having the flexibility to do the piece at your convenience [and your teaching] is great." "Thanks for allowing David (age 9) and Elle (age 7) take your Sheet Shapes class at your studio. They let me know that they really had fun learning to work with metal and tools, and enjoyed taking your class (they sure lasted a long time!). 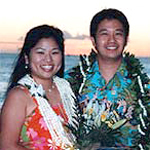 They had me order discs and punches so they could practice and make gifts for their teachers." "[We've] taken a couple of classes since we saw you [at the studio] last summer. We both agree that we have been very spoiled with your excellent teaching skills and truly appreciate your teaching practices. Your 'hands-on' approach is second to none and the couple of classes we have taken elsewhere have been disappointing." 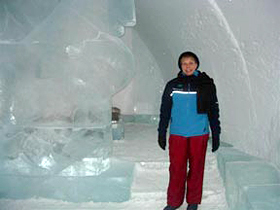 "Pam from New Zealand took the Viking Knit Wire Rope Bracelet Distance Learning class � here is her ice hotel!" "I found Iris� class both challenging and rewarding. 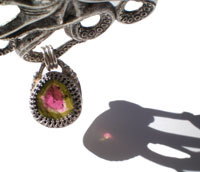 The coiled gemstone project is worth the time and effort! The outcome surprised me and the process was one of discovery. 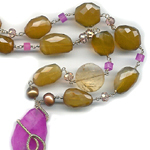 I�ve had offers for this necklace, but it�s staying with me! 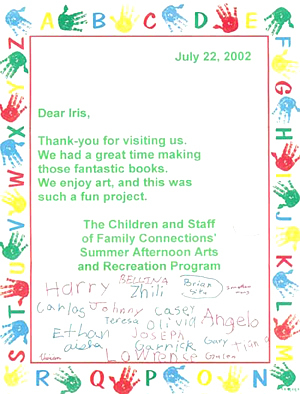 Thank you Iris, for your encouragement and direction." 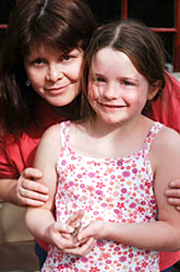 "I continue to learn so much from Iris, she is a major source of inspiration and very patient!" Maryl and Dominic were excited to make their own wedding rings, and the results were � well, gorgeous! I have a bit of good news that I would like to share since I know my new found creativity has contributed to this success. I was informed by Academy of Art College that I received a scholarship, 75% of 9 units tuition for summer grant program this year. Thats $3,000.00+ more in value! The value, perspective, and sculpture projects from your Basic Design class were included in the portfolio. Again, thank you, and you are welcome to share this if it will assist in motivating students to work hard."